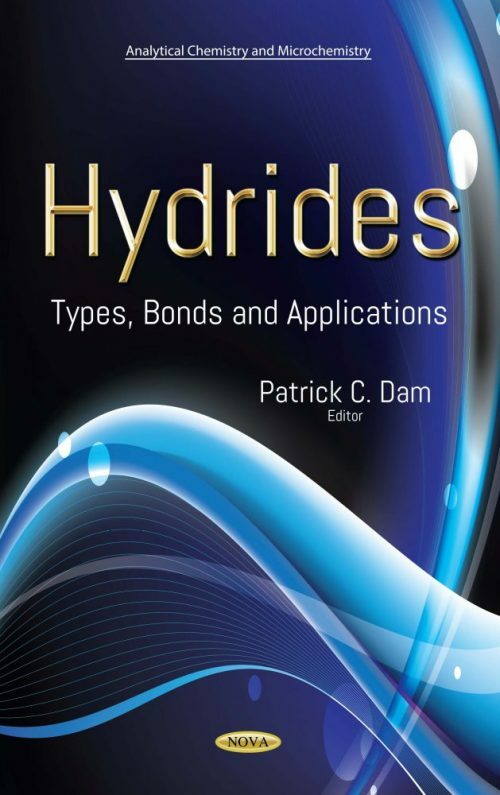 Hydrides: Types, Bonds and Applications first proposes metal hydrides as a fascinating class of compounds due to the small mass and size of hydrogen. Its medium electronegativity causes a large flexibility in terms of metal-ligand interactions, resulting in a vast variety of possible compositions, chemical bonding, crystal structures and physical properties. However, numerous unsolved problems remain on our way towards a sustainable, carbon free energy system based on renewable energy and on hydrogen as a future energy carrier. Thus, the authors present the structural details of alkali, alkali earth based selected tetra-boro hydrides. Selected hydrides have recently been suggested for applications in optoelectronics and as solid electrolytes for battery applications. Their use in optoelectronic devices depends on their stability with respect to doping, solubility of shallow donors and acceptors, electrical and optical properties. The authors describe the nature of the bonding in hydrides, and show how these affect the properties of these materials, focussing on application in the energy storage and in the transportation sector. Next, the features of gas discharge and plasma sources based on Penning trap with metal hydride cathodes are presented. In such devices, metal hydrides fulfill the functions of both a cathode and the solid-state generator of working gas. The authors determine that hydrogen desorbed from metal hydride significantly changes the properties of the discharge. This is expressed, for example, in the fact that the plasma source based on Penning trap with metal hydride cathode appears to generate current-compensated ion beams with the ability to control the energy of the extracted ions. Lastly, the book discusses metal hydrides obtaining in sintered electrodes of nickel-cadmium batteries with electrochemical methods by the way of electrolyte decomposition onto hydrogen and oxygen. It was shown that as a result of electrolyte decomposition, oxygen releases from batteries, while hydrogen partly releases and is partly (in virtue of its high diffusion permeability) accumulated in sintered matrices of electrodes of nickel-cadmium batteries in the metal hydrides form.